Customer Reviews for Crystal Couture Inc & Encore Costume Couture! Fun to deal with, willing to go the extra mile to find a discontinued color of possible and by golly they did it!. Chrisitne S.
Amazing place. Great staff! Highly recommend to all the dance parents! Barb A. This place is AMAZING. The staff is so friendly and takes the time to sit and tell you exactly what you need. They are amazing! Highly recommended for all dance parents, skating parents, cheer parents, or if you just love to rhinestone :). Elke A. Thank you for our beautiful costume! Robyn S.
THANK YOU for helping with the perfect costume for Kearsten. Not only did she receive a 1st place Platinum at Hall of Fame Dance Competition in Boca Raton, FL … but she received Judge's Choice Costume Award!! Thank you for being so kind and helpful. Mary M.
I ordered a costume online (#100000976) and also one by phone. I was somewhat apprehensive about spending such a large sum of money from an unfamiliar website. Your customer service was fantastic!. I really appreciated the call to follow up on measurements. I was also quite pleased with the super fast shipping. The costumes fit beautifully and actually look better in person than online. I am so happy with both costume purchases. We have already recommended you to a few dancers. I just wanted to thank you for all your assistance in helping me find the right dress for my daughter for her figure skating program this season. I thought that I should let you know that she skated very well ans was the Provincial Champion in Juvenile U11 at Skate Manitoba Sectional Championships last weekend. She was thrilled and absolutely loves wearing the dress. I have attached pictures for you and your staff. Thank you again. Perhaps there will be something from your "closet: for her in the future. Sincerely, Lynn C.
Very happy with the costume. Arrived today. Thanks!!!! Amy K.
I can't express how incredible the customer service is! Tremendously helpful, with expert advice and knowledge. 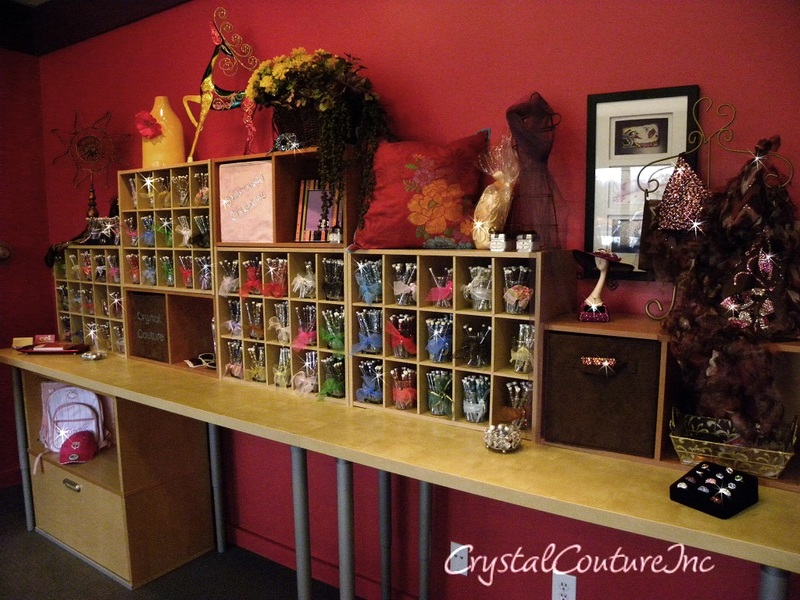 Crystal prices are extremely competitive, and given their custom design plans, become the best deal around! Sincerely, Laurie B.
Hi, I just wanted to let you know the jacket worked GREAT !! Thks so much ! Alicia E.
It seems like costumes become more glamorous and elaborate with each competition season, and the price tags can be daunting. With custom costumes generally ranging from $250-$500+, the custom consignment industry has proven beneficial for our clientele. This is a great way to purchase secondhand, custom costumes at a reduced price and re-sell custom costumes that have been made or purchased for your dancer. Chasta H.
Here is the final product as promised. Coaches were thrilled. Thank you for all your help-I think it turned out fabulously! Hopefully it will bring Liza luck this weekend for FSC of Bloomington's competition and at State!! If nothing else, she will LOOK amazing!! I'm sure we will see you again. Best, Jen R.
Thanks for all your help with getting the costumes to Australia so quickly!!! It looked fantastic!!! And even better..... She won!! We will definitely be ordering again!!!. Dianne M.
OMG the costumes arrived yesterday!!!!! AMAZING – thank you soooooo much! And….. they all fit, even better!. Dianne M.
The outfit arrived today and her mother and I both cried when she put it on..It is beyond beautiful, the picture does not do it justice. Thank you so much, from a proud grandmother. We will be back. Debra W.